These next parts aren't really that exciting but much needed for controlling the quadcopter. I already have a Futaba 9C controller that features a neat little module system. 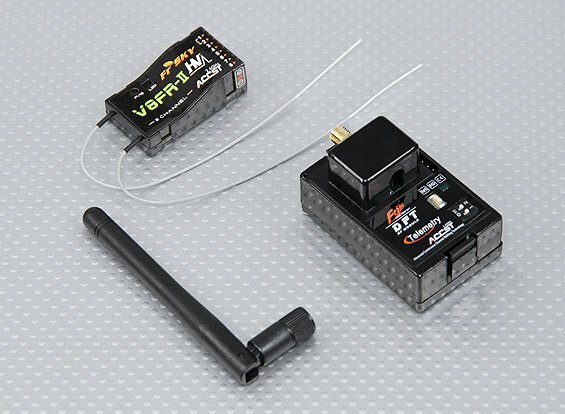 So I just needed to purchase a FrSky Transmitter Module that works with my Futaba controller -- the FrSky FF-1 2.4Ghz Combo Pack for Futaba w/ Module & RX), it's only $39 for the kit.